As the crisis in Greece develops, living standards are on a downward spiral, welfare and health services have virtually collapsed, and the European bail out demands greater austerity which will make the situation even more desperate. Is there a way out of this dark crisis? 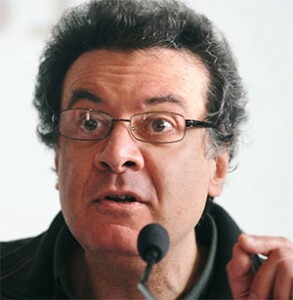 Dr. Stathis Kouvelakis researches and teaches on political theory at Kings College, London and is an informed commentator on the political and social meltdown that has taken place in Greece. See link to a recent interview. He will talk about the nature and causes of the current crisis there and will look at the prospects for the future of Greece either in or outside Europe.